With Deiniol's expert guidance, children will learn to use a variety of techniques to work with clay and make a couple of special one-off ceramic tealight holders along with a selection of Christmas tree ornaments. All the pieces will be glazed and fired and ready by the end of November, just in time for Christmas. 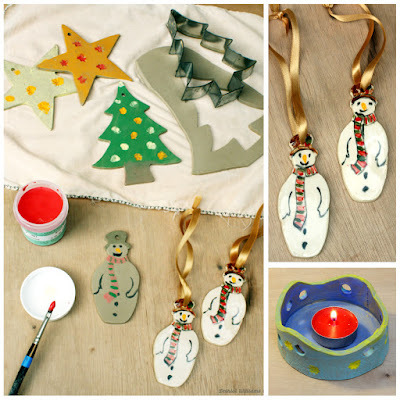 These ceramic decorations will be treasured for years to come!